Social media companies / applications have taken over the world. Well, that might be an overstatement, but when you look at companies like Facebook or Twitter, you get the idea; the power of social media nowadays is incredible. Chances are that every single one of you uses at least one social media site and its belonging app, though most of you probably rely on more than one. There are tons of social media services available out there, and applications that go along with those services. Well, we’re here to present to you one of the best social apps for iOS! What is FAVVES & why do we love the app? 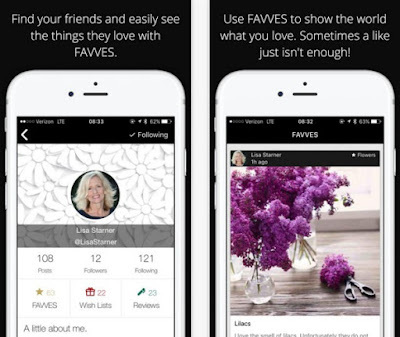 FAVVES is a social networking app created by Lisa Starner. We simply love the app because it can help you or anyone around you discover new places, services or products and also share their own experiences with everyone. The app has other features too! You will be able to discover what your friends like and get a lovely present for their special day in the year, create bucket lists with things you want to buy in the future, write reviews about places you’ve visited and give them a rate, overwhelmed on which products to purchase? View friends' and family profiles for ideas! This app can be used to make your life simple because many people often ask you about things like, where did you buy that, what salon did you go to, how was the restaurant and such. With this app you can easily share your experiences with everyone and help them in a very simple way. 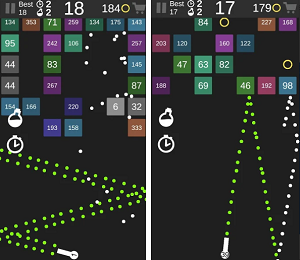 Download this app for free from the App Store or from Google Play and enjoy!